Step up to our 2017 Ford Expedition XLT SUV that's majestic in Shadow Black! Powered by a Twin TurboCharged 3.5 Liter EcoBoost V6 that delivers a robust 365hp while paired with a 6 Speed SelectShift Automatic transmission that's been designed for performance and efficiency with a selectable tow/haul mode. This Rear Wheel Drive team helps to offer a capable, confident ride while scoring near 21mpg on the highway. 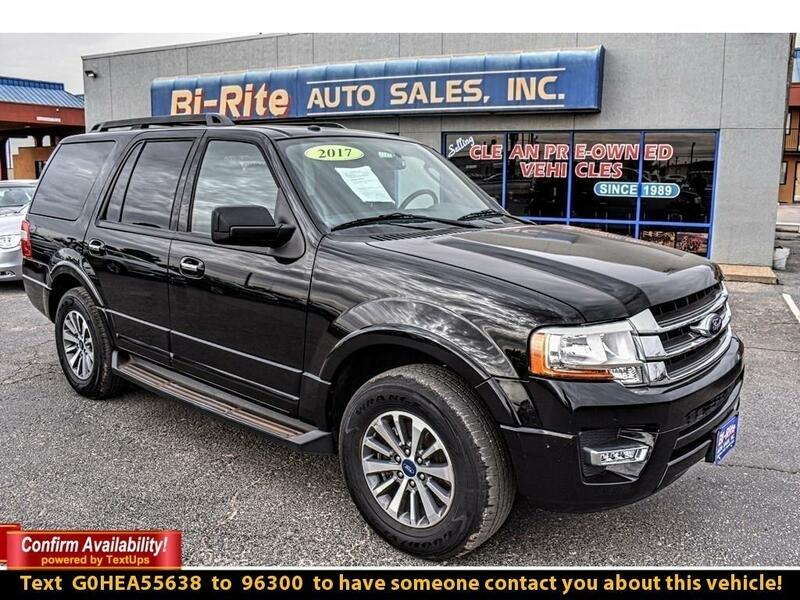 Look at the exterior of our XLT and admire the commanding stance that was built to take its place on the road with prominent wheels, a bright chrome grille, running boards and a roof rack. Once inside our XLT, you'll see plenty of room for storage, comfortable seating with ample lighting, and power options for all of your devices. Stay connected thanks to Sync voice-activated communications and entertainment system with a center display, AppLink, USB port, Bluetooth and available satellite radio. You'll appreciate the outstanding versatility of a split second-row seat and a fold-flat third-row seat for exceptional cargo-carrying capability when you need it. Equipped with advanced safety features from Ford such as a backup camera, rear parking sensors, blind-spot mirrors, SOS post-crash alert and MyKey, our Expedition boasts exemplary safety ratings for added peace of mind. Offering strength, durability, style, and safety...we think this is a terrific choice you'll love for years to come! Print this page and call us Now... We Know You Will Enjoy Your Test Drive Towards Ownership! Please call us for more information.